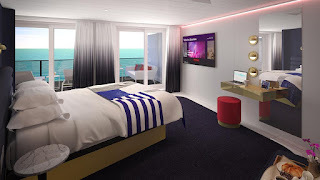 Susan Berman has connected with Virgin Voyages and receives press releases directly from from the company. 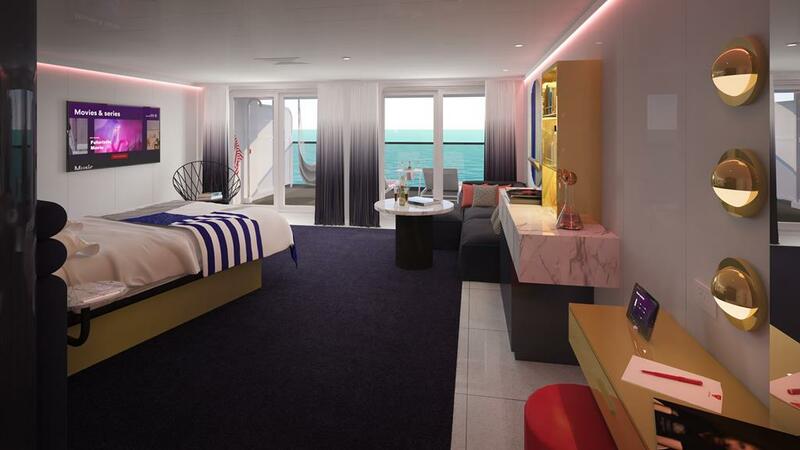 Future Sailors will live it up with stylish suites, backstage access and service fit for a rockstar. MIAMI, Fla. — January 2019 — ?Virgin Voyages, the new lifestyle brand set to disrupt the travel industry, today released several designs and images of their RockStar Suites. 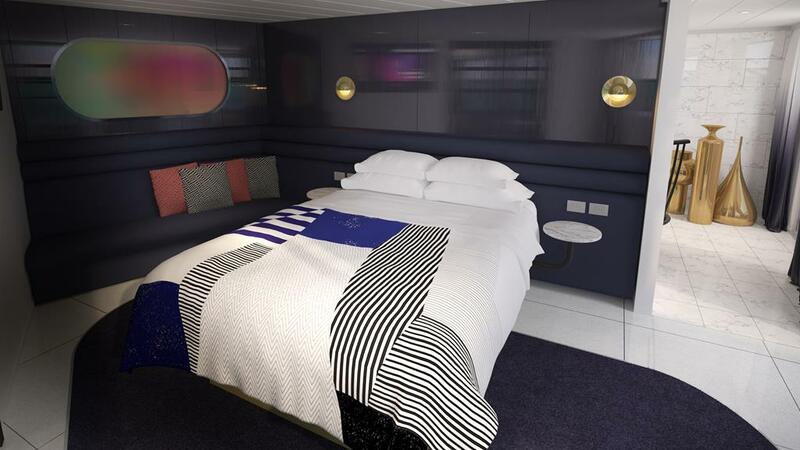 The new company is throwing out traditional cliches on luxury and formalities, instead bringing Rebellious Luxe to life at sea with their RockStar Suites designed by Tom Dixon’s Design Research Studio as the pinnacle of that experience. 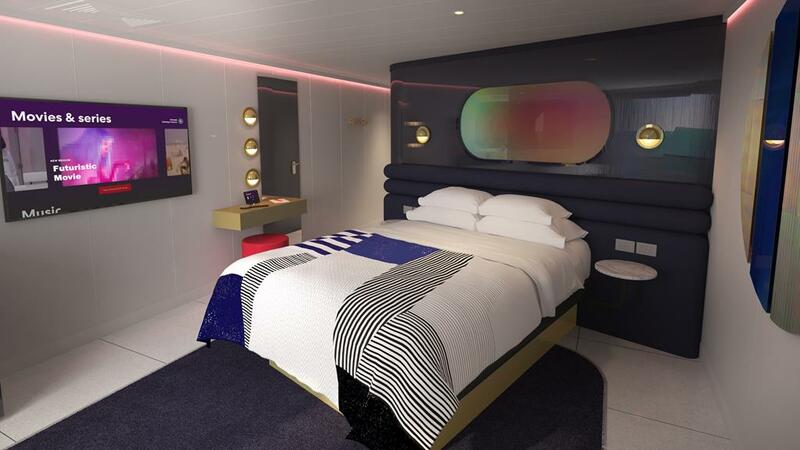 create a completely new version of luxury-- Rebellious Luxe, which is at the intersection of luxury and a rebellious attitude that makes everything we do different, indulgent and meaningfully relevant to our Sailors. Whether they want to sleep all day, praise the sun with yoga at dusk or party all night, our RockStar Suite Sailors can live out their fantasies aboard the Scarlet Lady,” said Tom McAlpin CEO of Virgin Voyages. 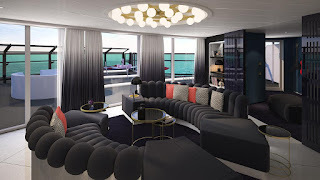 RockStar Suite Design Virgin Voyages’ RockStar Suites bring a fresh take to yachting glamour steeped in the Virgin brand’s rock and roll heritage. 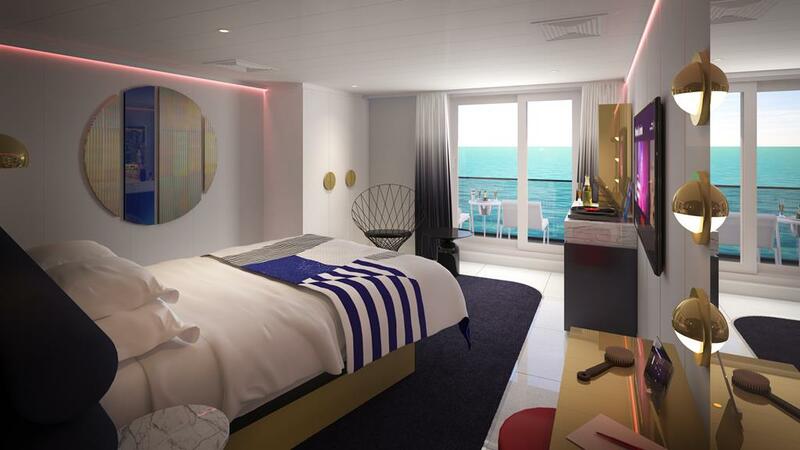 Inspired by mega yachts and rock and roll style icons like Grace Jones, the RockStar Suites feature Tom Dixon’s iconic retro-futurism designs with a palette of deep blues used with iridescent dichroic elements to echo the colors of the sky and sea when sailing. 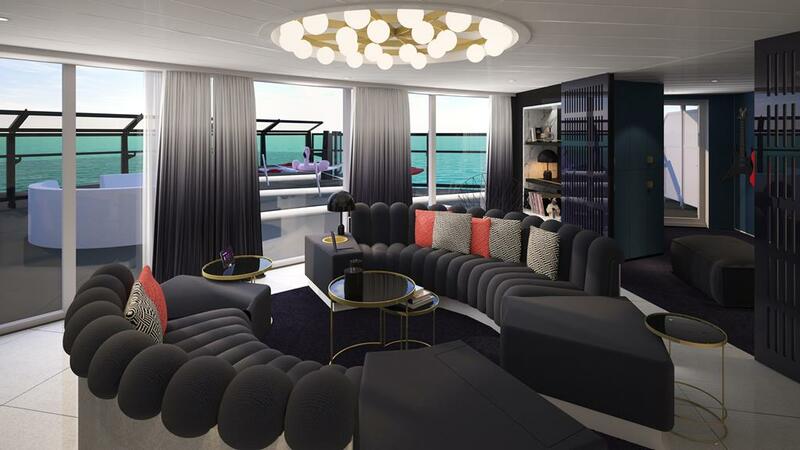 Touches of yacht materiality are sprinkled throughout the suites with real leather finishes, marble-clad bathrooms and Terrazzo flooring. 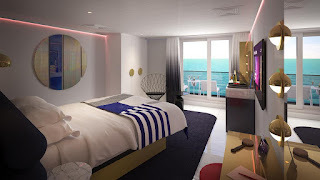 The suite’s design features nautical nods with a brass glam station and accenting beauty counter and bedhead lighting. 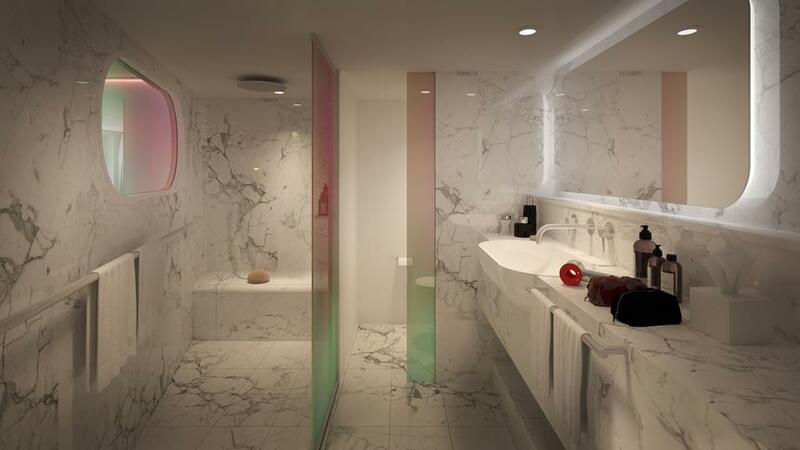 The supremely modern suites boast high-quality design elements and bespoke Tom Dixon furniture pieces. 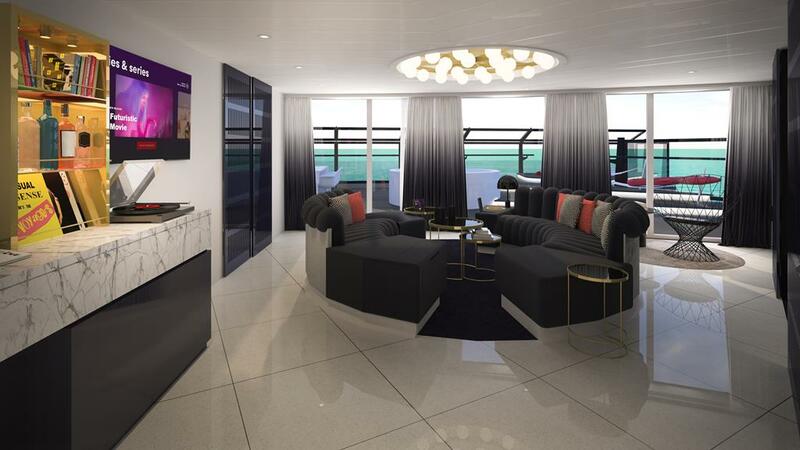 Because music is the soundtrack to the soul, each suite is equipped with a vinyl turntable. this ship. A very rare opportunity to delve into a completely new escapist realm,” said Tom Dixon of Design Research Studio. entertainment, restaurants, Shore Things, a private transfer to and from the ship in Miami and an exclusive express VIP pathway to the ship during embarkation. 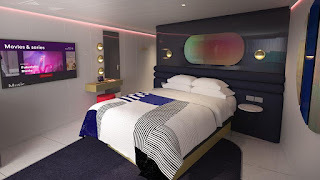 RockStar Suites Sailors will have their very own wardrobe team to help unpack and repack, complimentary pressing service and nightly express swimsuit drying service-- because no rockstar should ever have a wet bottom. time of day and in room tablets that allow sailors to adjust the room’s lighting. Sailors will enjoy luxurious comforts like premium linens and a plush European king bed in every suite as well as upgraded bath amenities for pampering. 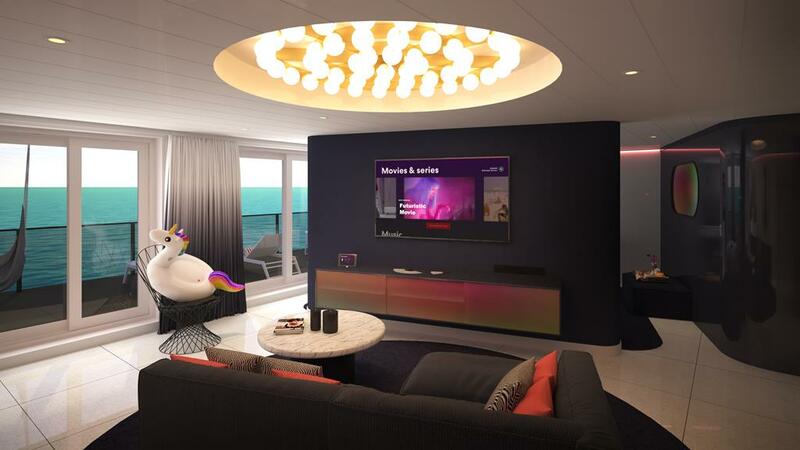 Sailors looking to up their vacation game, can opt for one of the Scarlet Lady’s Mega RockStar Suites, primely located on deck 15. 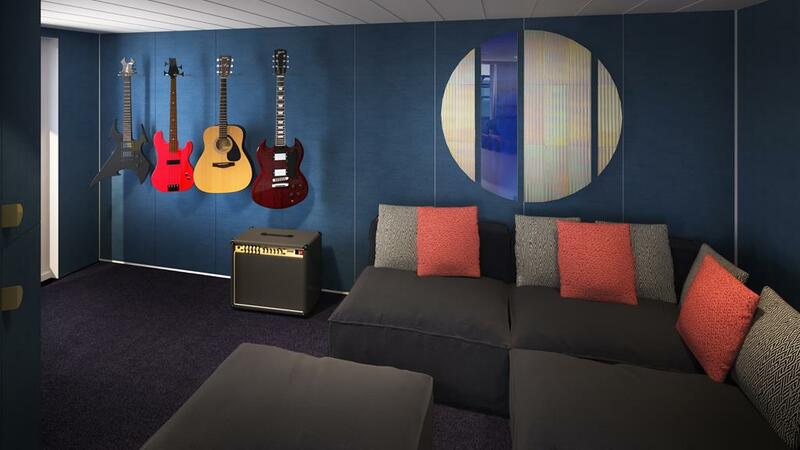 Mega RockStar Suites will receive a personalized bar filled with their favorites, and the RockStar Services Crew will tend to their rockstar rider list, digging up whatever their heart may desire to make their voyage perfect-- all red gummy bears, an electric guitar and beyond. 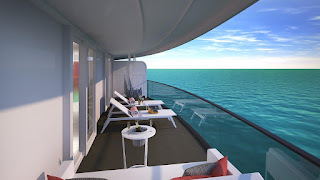 With only 78 RockStar Suites aboard the Scarlet Lady, among them are 15 Mega RockStar Suites, aptly named the Massive Suites, Fab Suites, Posh Suites and Gorgeous Suites. of the ship’s bridge. These 2,147 square foot suites, are a place that legends dream of-- each with its very own music room, which seconds as an extra bedroom that is stocked with guitars and an amplifier. At the center of the Massive Suite is a circular oversized couch set up, perfect for conversation and a cocktails from the suite’s adjacent in-room bar. Rockstars can primp for an appearance aboard the Scarlet Lady in the suite’s glamorous bath and dressing room area complete with a hot tub, vanity area, two full-sized wardrobes and a marble-clad bathroom with a Peek-a-Boo shower area that overlooks the bedroom and out to the ocean. 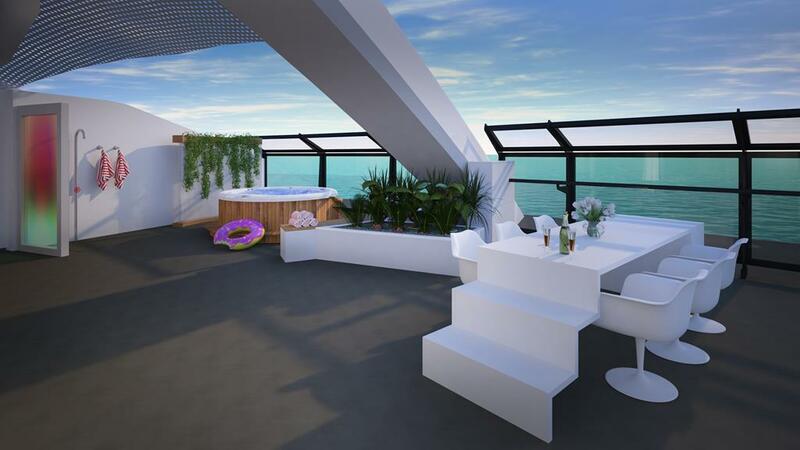 staircase to the top of the runway outdoor table for dining and dancing in full rockstar glory.